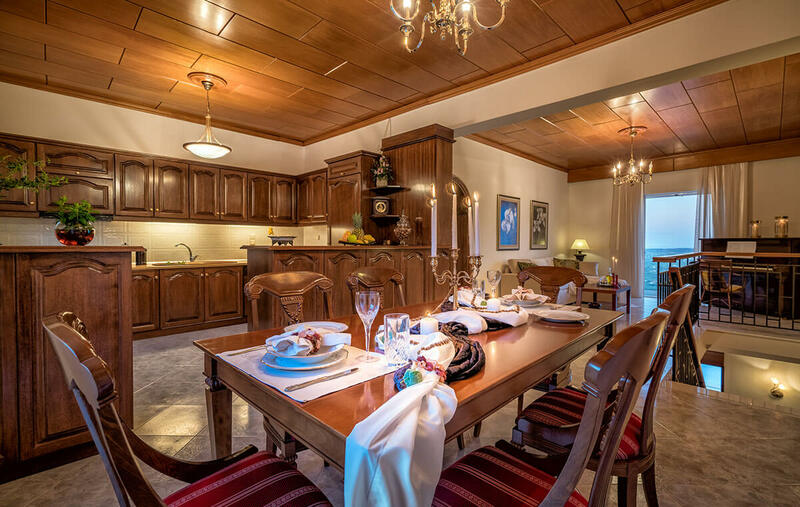 The villa can accommodate 6+2 people and is spread across two floors. 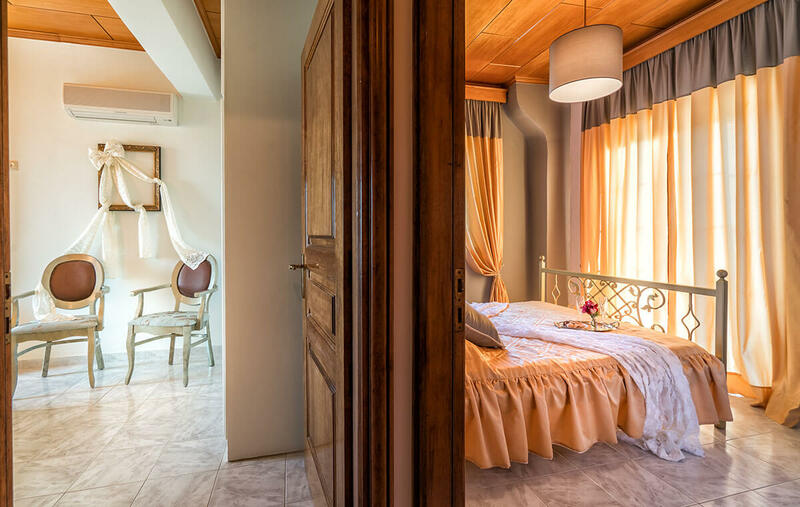 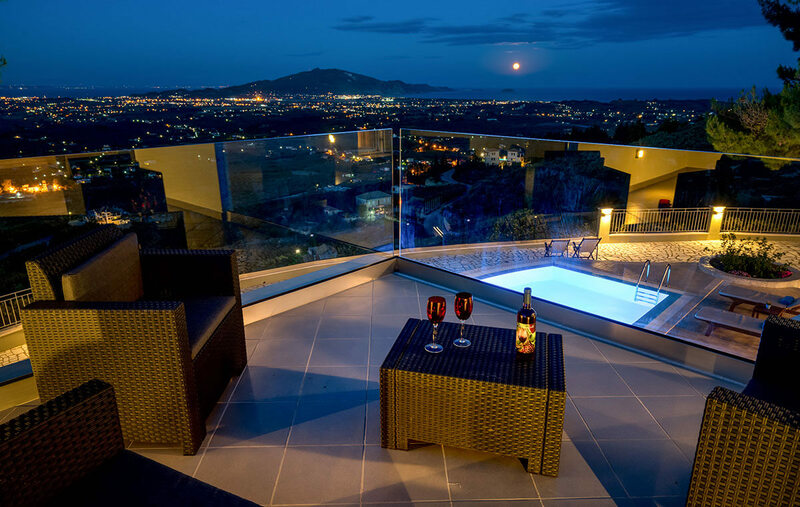 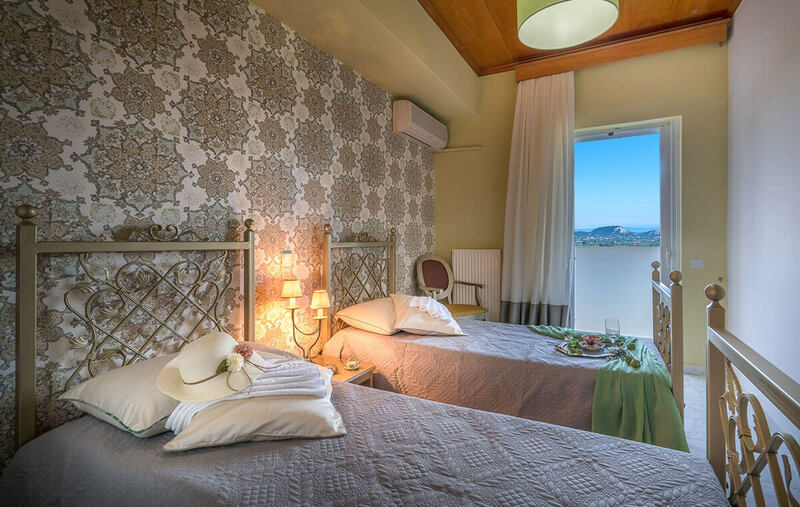 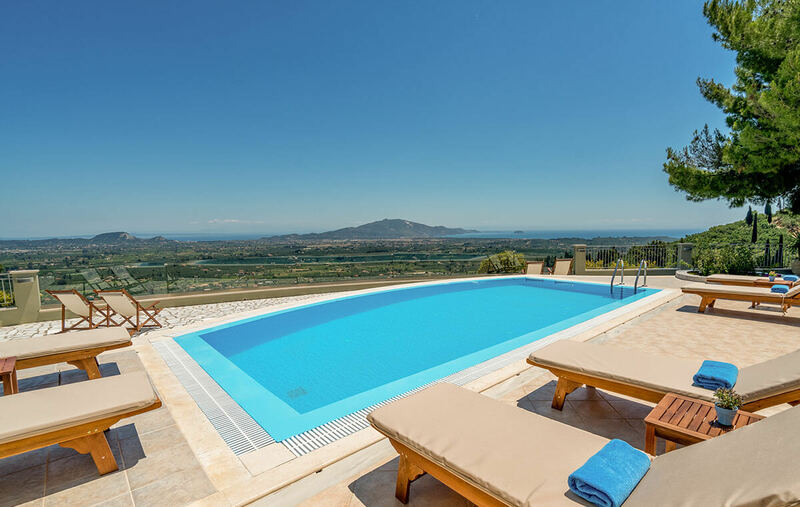 The first floor features three bedrooms, one with a double bed overlooking the pool, another with a double bed overlooking the mountain and one more with 2 single beds overlooking the pool. 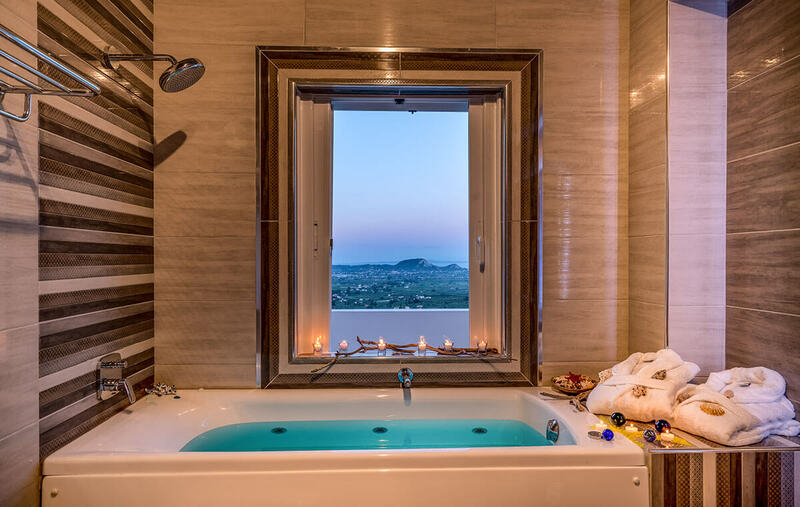 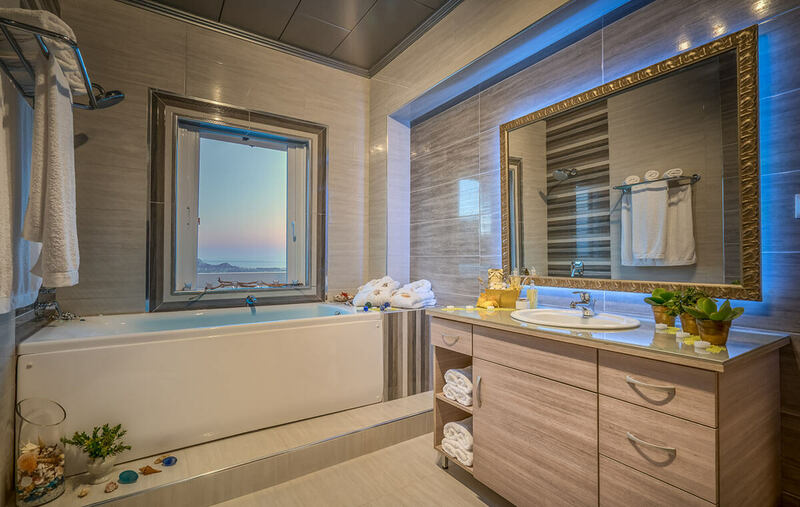 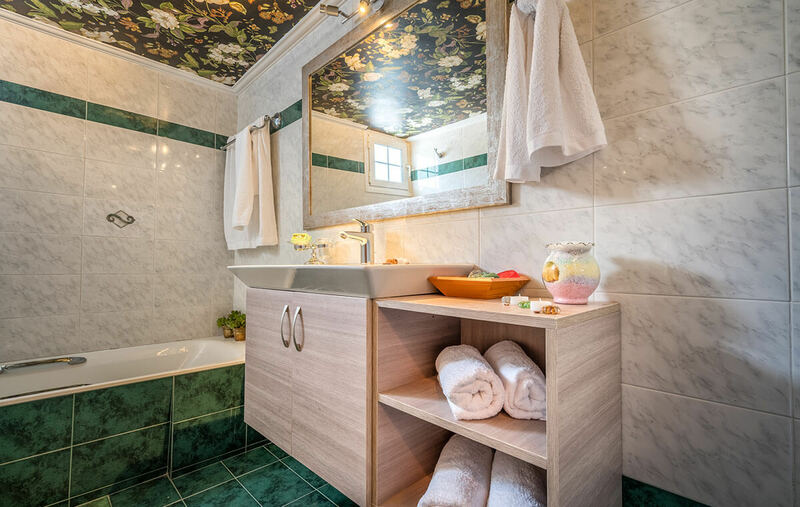 There are also two bathrooms with bathtubs, one of them also features a hydro massage, a living room, fully equipped kitchen with toaster, kettle, microwave oven, coffee machine, dishwasher, washing machine, dining table and piano. 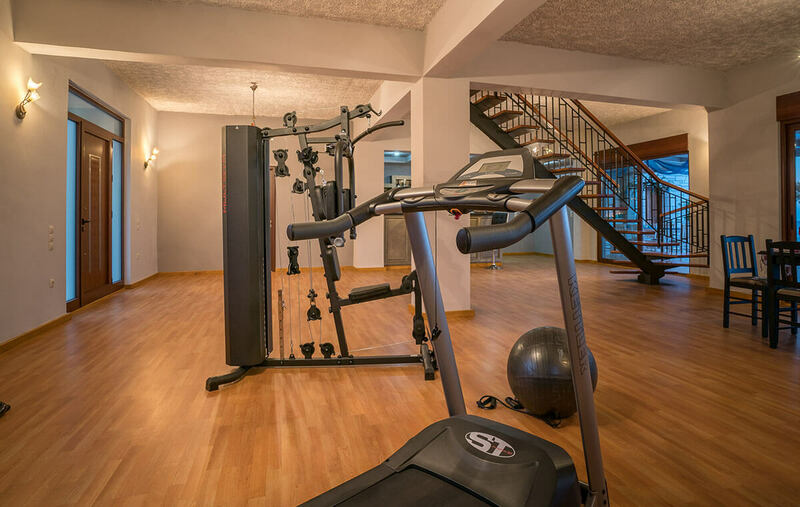 On the ground floor you will find a bar stocked with drinks, a dining table, WC, a gym area which includes a treadmill, an elliptical trainer, a multi gym machine and accessories such as ball, elastic band and mattress as well as large floor to ceiling glass doors that lead to the swimming pool. 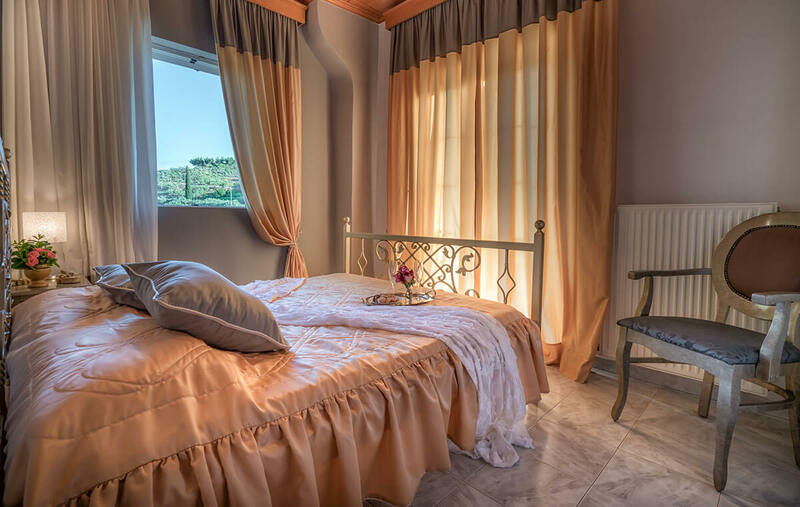 Air conditioning and WiFi internet access are available throughout the villa. 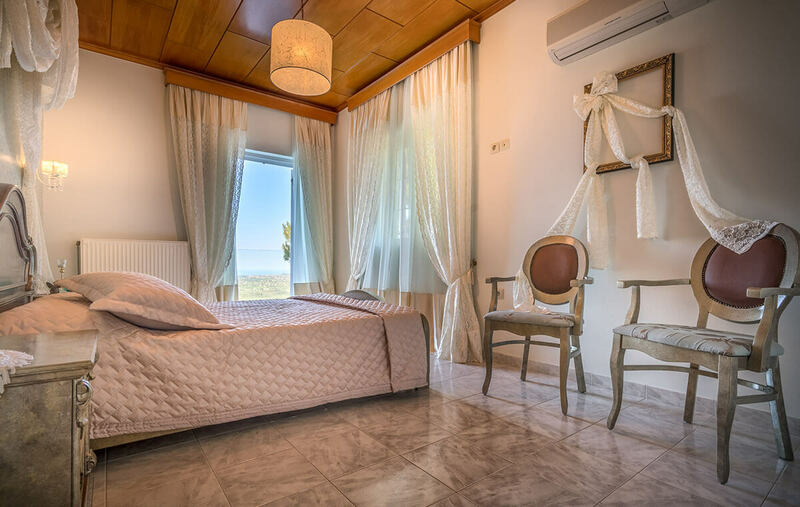 The Castelli Villa is equipped with everything you may need during your stay. 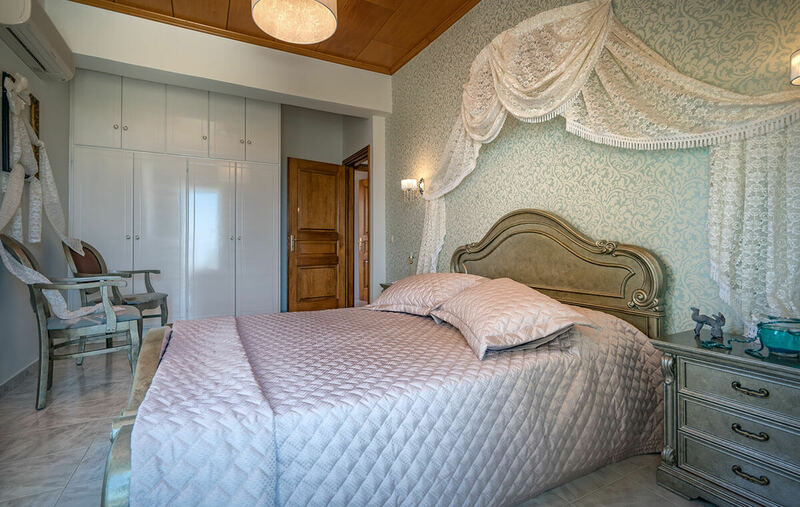 Whether you would like to stay in and relax or explore the island, the facilities and services on offer will satisfy your needs and preferences.